Penny Kris-Etherton ’71 (food administration) is no stranger to distinction. Long before she was recognized as the College of Health Sciences and Technology 2017 Distinguished Alumna, an award she will be honored with on Oct. 13 at the Presidents’ Alumni Ball, Kris-Etherton was named Distinguished Professor of Nutrition at Pennsylvania State University. It is a fitting title for a woman who during her 38-year career at Penn State has authored 330 scientific papers, 30 books chapters, and co-authored four books ranging in topics from the health benefits of nuts and dark chocolate to dietary patterns of risk factors for cardiovascular disease. 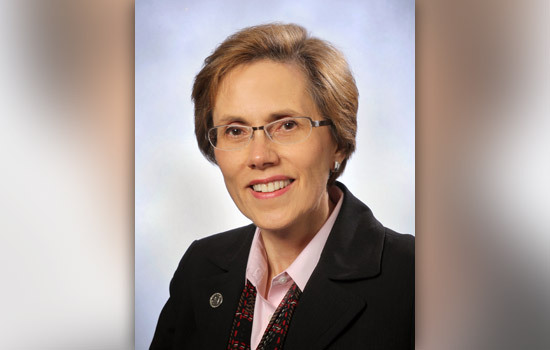 Kris-Etherton has also served on several influential national boards and committees that have issued nutrition recommendations for Americans, including helping to create the Dietary Guidelines in 2005. It is not these accomplishments that Kris-Etherton considers to be among her greatest, though. Kris-Etherton credits RIT as the foundation for her career, much of it because of her own professors. Kris-Etherton is also part of a group of alumni who experienced RIT during its move from a downtown Rochester campus to its current location in Henrietta.